All these nuances have left a visible trait on the culture and mystical traditions of Kashmir, while the majestic beauty of the landscape has remained untouched. From cloud-scraping mountains and vast blue lakes, to wild lavender fields in between, Kashmir is a land that dramatically surrenders to the changing hues of the seasons. Kashmir’s unspoiled natural beauty and rich history have yielded extraordinary literature, spirituality and craft work that seek to immortalise this unique synthesis of culture and history, and make discovering this wonderful place an unforgettable revelation. Nestled between the Himalayan and Karakoram mountain ranges, the region of Kashmir makes up two-thirds of India’s northernmost state, the Pakistani provinces of Gilgt-Baltistan and Azad Kashmir, and the Chinese regions of Aksai-Chin and Trans-Karakoram Tract. After more than 20 years of civil unrest, Kashmir is now enjoying relative peace, making it possible to travel to again. Throughout history, Kashmir’s strategic location at the crossroads of the silk road saw it come under the influence of different empires and religions, most significantly Buddhism, Islam and Hinduism. Sitting on the shores of the majestic Dal Lake, Kashmir's summer capital is home to some of the best-kept art disciplines and architecture relics of the Ancient Silk Road. 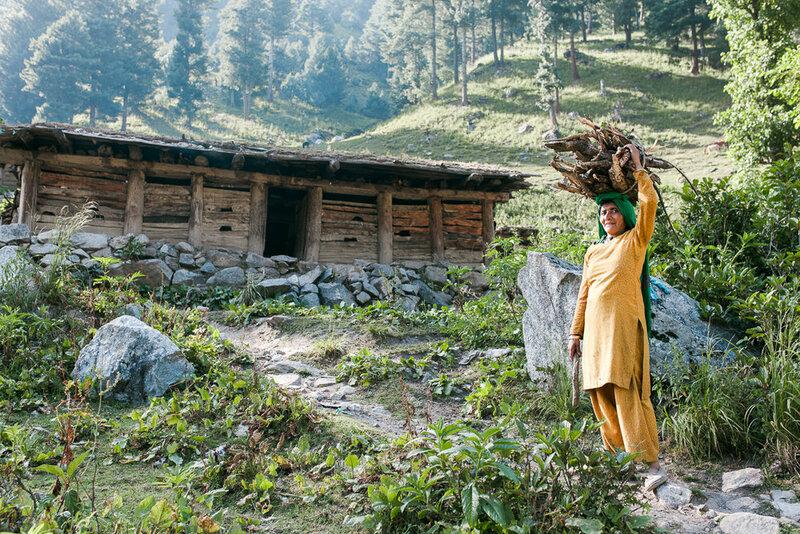 A hill-station in the Lidder Valley, Pahalgam is often transited by the nomadic Gujjar-Bakarwals, known for their traditional cattle-herding lifestyle and colourful crafts. A high-altitude cold desert surrounded by glaciers, Nubra's uniquely moon-like landscape was once a heavily transited point on the Ancient Silk Road. Hues of brilliant blue and dusty brown paint the isolated region of Zanskar, best explored trekking and river rafting along Tibetan-style monasteries perched on vertiginous cliffs. Naranang is one of the less-explored valleys of Indian Kashmir. Cloaked in rolling hills and meadows, its is a pristine location for nature walks and trekking. Wild, raw and ungroomed, Kashmir’s Gulmarg calls for those who really want to go off-piste in some of the highest skiable peaks in the world. The capital of the ancient Himalayan Kingdom of Ladakh, Leh is a charming town dotted with stupas, ancient palaces and bohemian make-shift cafes filled with locals and adventure lovers alike. The Pashmina Plateau is a dry, barren land home to the nomadic Changpa people, herders of pashmina sheep and Tso Moriri, one of the largest high-altitude lakes in the world. All our journeys are custom-made to each traveler's preferences and interests. Please contact us to request more information and to start planning your trip.